Theme Time Radio Hour fan and show cataloger extraordinare, Pierre Ponette, better known on-line as "Picasso from Belgium" passed away in September 2008, a month before the start of Season 3. Thanks to the prompting of "adamdean" and the agreement of the Expecting Rain forum administrators, the TTRH forum was recently renamed to "Picasso's Theme Time Radio Hour" in his memory. The Dreamtime blog became the first media outlet to break the news of Season 3's start date of October 8th after receiving an email from an anonymous source at XM Radio in mid-September. There was no official announcement about the new season from Sirius XM past a one line statement on their XMX program page on October 1st. With the release of a new edition of Dylan's Bootleg Series, Tell Tale Signs, happening during the same week all Bob Dylan-related promotion appeared to be ceded to the Sony publicity machine. On October 7, the day before the start of Season 3, the "Legacy Records" division of Sony issued a press release promoting both Tell Tale Signs and Theme Time Radio Hour. The release noted that Season 3 themes would include "Money," "War," "Presidents," "Cats" and "Famous People." A brief article in the October 16 edition of Rolling Stone (online and on newsstands a week earlier) reported some additional themes, including "Sugar," "Carnivals," and "Furniture." The article also related that the November 19th show, "War," would be 90 minutes, the first hour-and-a-half show TTRH had ever aired. The online Rolling Stone article was later updated with audio excerpts from the "Money" and "War" episodes. “Welcome to Season 3 of Theme Time Radio Hour, and we’re glad to have you. We’ve had a lot of fun the last couple of years, presenting the greats and near-greats, the fondly remembered and the almost forgotten, performing a wide variety of music on a veritable cornucopia of subjects. The show followed the same general format as Seasons 1 and 2 with music ranging from a 1926 cut by Papa Charlie Jackson, You Put It In, I'll Take It Out to 1997's It's All About The Benjamins by Puff Daddy, interspersed with commentary by Dylan. The "Caller on Line..." segment returned with a twist, with Dylan conducting a conversation in Spanish with a caller who wanted to know the conversion rate between dollars and pesos and closed the conversation with a request for a song by "Amigo Hombre," better known as "Buddy Guy." At the close of the show, Dylan noted that with so much more music yet to be played, the following week's show would also be on "Money." Announcer "Pierre Mancini" again read the closing credits, which were slightly changed from previous seasons. The "associate producer" of Season 3 is now one "Nina Fitzgerald," replacing "Ben Rollins," who himself had replaced Season 1's "Sonny Webster." If there's a Season 4, it's likely that the pseudonymous producer's - who is rumored to be Bob Dylan's manager, Jeff Rosen - name will be "Ella Simone," continuing the nod to jazz greats. Lee Abrams, who had left XM Radio in April 2008, is now credited in the "Special Thanks To..." section, along with regulars Coco Shinomiya and Samson's Diner. Engineer "Tex" Carbone, who apparently received a promotion midway through Season 2, is now referred to as the "Director of Studio Operations." It can't go unremarked that the airing of the Theme Time Radio Hour "Money" episodes coincided with the start of a global financial meltdown. 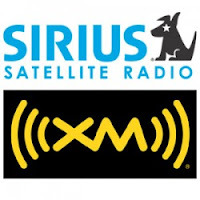 Sirius completed its acquisition of/merger with XM Radio in late July 2008, but left programming on both satellite radio stations virtually unchanged until November of that year. On November 12, the company announced major programming changes, some of which impacted Theme Time Radio Hour. The show moved its Wednesday air time to an hour later, 11 a.m. ET, and began airing on both Sirius and XM, expanding the show's audience to Sirius subscribers. However, Sirius also discontinued the XM Radio XMX station, which had broadcast TTRH continuously on Wednesdays. Cadillac's on-air sponsorship of the show also ended at around this same date. Although Sirius XM doesn't disclose information on audience size for any of its shows, it was obvious that the deletion of XMX and its 24-hour broadcast of TTRH caused a serious decrease in both the show's satellite and internet listeners. Live "listening parties" ended, posts on TTRH noticeably dropped off in on-line forums, and complaints poured into TTRH-related sites, including Dreamtime, that listeners could no longer conveniently hear the show. Beginning February 8, 2009, The Spectrum (Sirius Channel 18 and XM Channel 45) began airing repeats of the program in a four-hour block each Sunday from 4-8 pm ET. Each block begins and ends with an encore of the most recent TTRH episode from the previous Wednesday, with two older shows aired in between those episodes. While the additional programming provided welcome expanded listener access to the show, its arguable that the damage was already done, and that TTRH lost a sizable portion of its rumored 2 million+ listeners during Season 3. Another troubling outcome of Sirius's acquisition of XM was the reduced oversight of TTRH that was evident throughout the season. The show's home page, never regularly updated, became completely out of date during much of Fall 2008, containing dead links to the canceled XMX channel and a graphic still displaying the original 10 a.m. air time for several weeks after those changes had been made. Other problems included repeat episodes of TTRH not airing on scheduled date/times, and the show's closing credits - apparently kept separate from the episodes themselves - not being used for several shows. The "War" episode was the first episode of Season 3 to not include credits during its premiere airing. Repeat broadcasts included the credits, as well as the information that the following week's theme would be "Fruit," also referred to on TTRH as "Fruit Bowl." The title of one of the so-called "lost" episodes from Season 2, announced by XM Radio but never released, "Fruit" would be the first aired during Season 3 of what would turn out to be all the missing episodes, which included "Street Maps," "Something," and "Nothing." The appearance of the "lost" Season 2 shows led to an interesting theory conjectured in the Expecting Rain TTRH forums: that Season 2 had originally been planned as one 50-episode season scheduled to run over a year's time, similar to Season 1. For reasons unknown, but possibly having to do with the Sirius acquisition, Season 2 was cut off six months into the season at Episode 25, with some, if not all, of the remaining 25 shows becoming Season 3 six months later. There is some circumstantial evidence from both Seasons 2 and 3 to support this theory, including the fact that Season 2 opened with "Hello," and Season 3 will close with "Goodbye," bracketing themes possibly originally intended as the bookends for one season. The ever-expanding list of TTRH compilations grew to include Radio Radio in 2008, a 4-CD box set from "Mischief Music" containing 112 songs, all from from Season 1 of TTRH. As with all other commercial TTRH compilations, Radio Radio does not contain any Dylan commentary or other Theme Time features. The "Friends & Neighbors" episode from Season 1 will be part of the "deluxe" Together Through Life package, scheduled for release the week of Aprl 27, 2009. As with the promotional "Baseball" CD, the "Friends & Neighbors" disc is expected to be the complete show and include Dylan's commentary. "The Theme Time Radio Hour Compendium," a tie-in book originally announced for October 2008, was not released. The publication date on several on-line sites was briefly changed to October 2009, and is now listed as October 2010. However, the book is no longer cataloged on its publisher's - Simon & Schuster - site, and can be presumed to be delisted. Derek Barker's massive and fascinating book, "The Songs He Didn't Write," published in 2008, lists songs that Bob Dylan has covered over the course of his career. While only touching on TTRH peripherally, the book makes a strong case that many - if not most - of the music selections played on the show were picked by Dylan himself. Highly recommended reading. While considered by fans to include some of the best episodes of Theme Time Radio Hour, the show's Season 3 was somewhat overshadowed by the ongoing economic soap opera that is Sirius XM Radio. 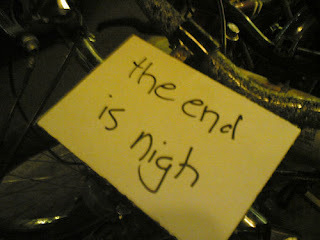 Appropriately on Halloween Day 2008, The Motley Fool web site declared the company "the world's scariest stock." In February 2009, laden with over $3 billion in debt and its stock trading for less than .12 a share (Sirius XM is currently trading for .35 cents a share at the time of this writing), the company was on the verge of bankruptcy. Several reports noted that such a bankruptcy would enable the company to cancel and renegotiate its contracts with its costly independent productions, such as Howard Stern, Martha Stewart, and Theme Time Radio Hour, rumored to be XM Radio's single largest expense before the merger. Online reaction ranged from the ridiculous - speculation that Ellen Barkin's absence from several of the show's introductions was tied into Sirius's financial problems - to the sanguine - opinions that the show would be unaffected, at least during Season 3. As it turned out, the latter was accurate. A last-minute cash infusion by Liberty Media rescued Sirius XM from immediate bankruptcy, and Season 3 of TTRH continued on without interruption. While still not financially healthy by any measurement, Sirius XM continued as a viable business into the first half of 2009. Several analysts belive that Sirius XM's future depends on a successful transition from a satellite to internet radio subscription model, specifically tied into an iPhone/iTouch application. 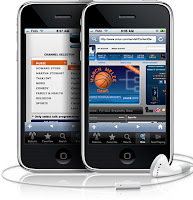 The company killed an independent application that would have given Sirius XM subscribers the ability to tune into channels from both stations from their iPhones, uSirius StarPlayr, in early 2009, although a similar application still remains available. Sirius XM is now reportedly at work on their own iPhone/iTouch application, scheduled for release sometime during the summer of 2009. Show titles during Season 3 tended to be fluid, with various episodes referred to by different names at different times by reporters, XM Radio, Pierre Mancini, and even Bob Dylan himself. "Fruit" was occasionally called "Fruit Bowl," the announced "Streets" show was renamed as "Street Map," "Sugar" was expanded to include "Candy," the "count-up" show was variously referred to as "Eleven On Up," "Eleven And Up," or simply "Eleven-Up," "Family" was also called "Family Circle," and the "Noah's Ark" shows were also known as "Animals: Parts 1 and 2." The "President's Day" show - first broadcast in Season 2 - became the first repeat episode for Season 3, airing on October 29, 2008, the Wednesday before the U.S. presidential elections. As with Season 2, Season 3 would see two more repeat episodes: "Christmas & New Year's", airing appropriately on Christmas Eve, 2008, and "Number One," airing on New Year's Eve. The Christmas show would become the first TTRH episode to have been broadcast over all three seasons. Notable episodes included the "Blood" and "War" shows, where Dylan played cuts from a Jerry Lee Lewis bootleg featuring two songs from the rock musical Catch My Soul and saying with obvious delight: "You know, if anybody ever asks me why I do this radio show, I could just play them that - Jerry Lee Lewis singing Shakespeare." The "Money: Part 2" show included one of the best TTRH "Caller on Line.." segments, with the caller insisting The Beatles' song title was Money Can Buy Me Love and calling Dylan, "Mr. Sixties." 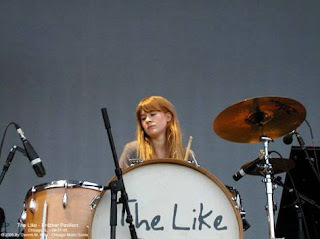 A later episode, the "Something" show,would feature a real person as caller, Tennessee Thomas, drummer for the band, The Like, and daughter of Pete Thomas, longtime drummer for Elvis Costello. Our Host continued his recommendations of various real-world restaurants and watering holes throughout Season 3, including The Rojo in Birmingham, Alabama during the "11 On Up" show, and telling Tennessee to try the pizza at Totonno's in Brooklyn on "Something." Less heard during Season 3 was "def poetry," with Mr. D. doing few readings and those usually excerpts rather than the full poem. Email readings were also reduced in favor of the faux phone calls. However, one notable email was read on the "Family/Family Circle" show. In reply to a listener's aside that she copied various TTRH episodes to pass on to her family, Dylan stated that he "can't condone that," and concluded the call with a forceful, "And stop giving my shows away!" The comment generated exceptional angst among TTRH fans, with a few parsing the remark much more than it deserved while offering varous justifications, rationalizations and explanations for their own copying of the show. It's doubtful that anyone anywhere stopped doing so or began "illegally downloading" it, as Dylan had wryly recommended in an earlier show, on the strength of his dictum. The future of Theme Time Radio Hour past Season 3 remains, as the Magic 8-Ball would have it, "murky." The length of Dylan's original contract with XM Radio is unknown, only referred to publicly as "multi-year," and may expire in 2009, or may have been voided upon XM's merger with Sirius. 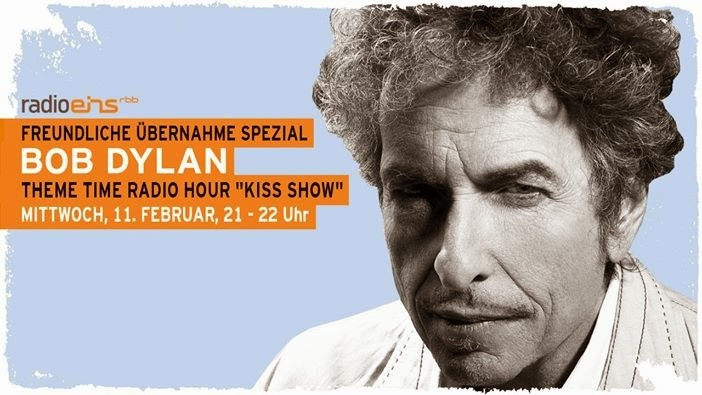 Although Dylan's XM contract probably now pales against that of Sirius star Howard Stern, Sirius management may not be as enthusiastic as the show's original XM Radio champion, Lee Abrams, was to have Bob Dylan in their program line-up. Dylan himself appears to enjoy hosting the show, but he's given no indication whether he wants to or plans to continue it. It's unclear what effect the economic downturn might have on TTRH continuing into a Season 4. On the one hand, if Sirius XM is looking to cut costs, the show may fall to the ax, especially if it no longer fits into the Sirius XM program model, its ratings have dropped, or its costs are no longer subsidized by a Cadillac sponsorship. On the other hand, the poor economy may actually encourage both Sirius XM and the TTRH team to come to terms on continuing the show, especially if the ratings remain strong and both sides are happy with the contract. Bob Dylan has something of a "Tiffany" effect with his associations, generating press and publicity, as well as attracting his fan base to side endeavors such as TTRH. One positive indicator for a Season 4 is reminiscent of Season 2. Two shows reported in Rolling Stone as scheduled for Season 3, "Carnivals" and "Furniture," have not aired. Will they, like the "lost" shows of Season 2, eventually be broadcast in a new season of Theme Time Radio Hour? Maybe we'll find out this Wednesday. Thanks to all Dreamtime listeners, readers and fans for a great Season 3! Top photo courtesy "roland" under a Creative Commons license. Interesting stuff. Thank you for the information. Preciate it. What a great read Fred! I certainly hope the shows will continue into another season, but as you indicated, it is a "murky" future even without the complications of the merger, economic trends, etc. When the shows first started I enjoyed hearing about the "old timey" performers and had a hoot finding clips on YouTube, it was like a convergence of technologies there, with YouTube giving me a view into the time machine. Can you believe I had never even heard of Anita O'Day before TTRH? Picasso's assiduous research was also a font of extra knowledge pertaining to these gems, and I do miss him dearly, his passing was a shock, I have to admit. His humor and generousity fit like a glove right along with the shows and I was also touched by the administrator's of ER dedicating the ongoing TTRH Thread to him (per adamdean's suggestion). Also, Fred, your contributions to ER and here on your blog/podcast, have been such a treat to find, I can hardly express what a delight it has been to enjoy this TTRH ride right along side you and the other fans, thanks for everything! As it is said at the conclusion of the Passover meal, "Next Year in Jerusalem" may I conclude with: "Next Year in the Abernathy Building!" Great investigative reporting and commentary Fred! Another season of TTRH would be awesome, but if it doesn't happen you at least have to keep on trucking with Dreamtime.